Many organizations perceive cost reduction as one of the primary benefits of adopting a cloud hosting model. In practice however, this is not always an accurate assumption. 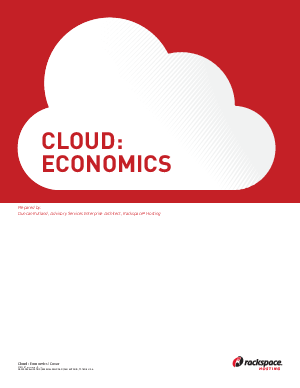 There are nuances to the financial analysis: public cloud computing is not necessarily cheaper than traditional dedicated hosting. There are additionally considerations around the impact on Total Cost of Ownership (TCO), Transformation/Migration costs and the position of an organization within the IT lifecycle. In this whitepaper, we will explore each of these areas in order to illustrate some of the factors an organization needs to consider when contemplating a migration to the cloud.